If your Microsoft Word files suddenly become huge and start crashing, here’s how to fix it. Sometimes Microsoft Word files explode from 1 to 10MB in a few minutes? In the world of technical publishing, Microsoft Word tends to get a bad rap. Many feel that it’s unstable and crashing. It can also bloat in size until your operating system grinds to a halt. Maybe you lose your morning’s work in the process. Why Bullet Lists Creates Large MS Word files? Bloated file sizes are a real problem. We all know this. 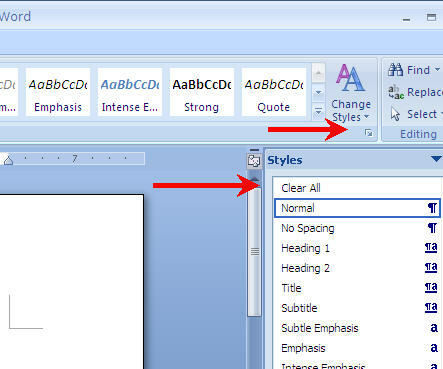 I've creating some very large business proposals in Microsoft Word and learnt a few ways to control the documents. Bullets Lists - The first offender is Bullet Lists. If there is one thing that's guaranteed to crash Microsoft Word, it’s bullet lists. Here's what tends to happen. Which Bullet List is the master list? In the next article, we'll look at other ways to reduce large Microsoft Word files. Let me know if you’ve any problem with this. Our Smart Biz page on Facebook is here.